My name is Loto and I painted Cinderella because I am an artist. 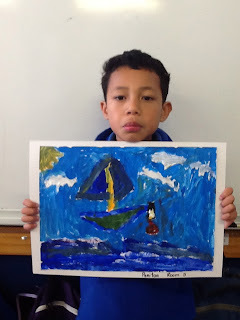 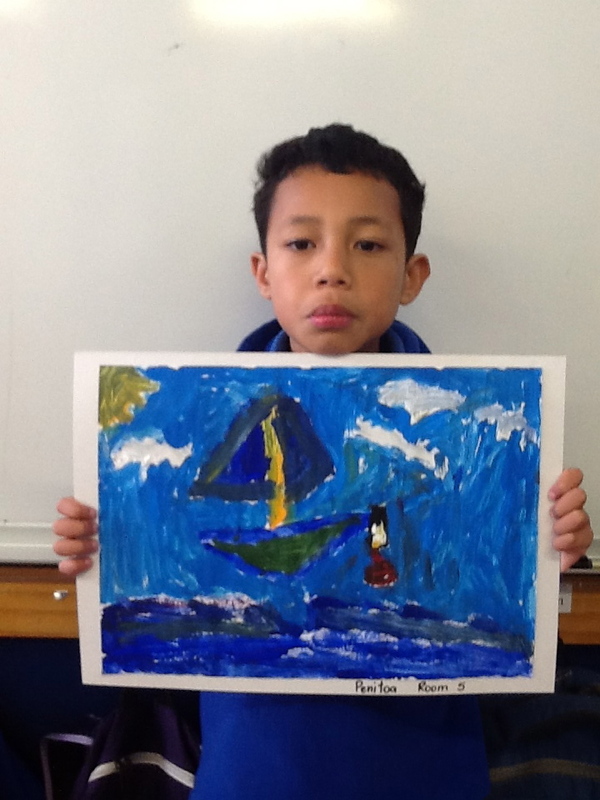 My name is Penitoa and I painted a boat because I love to see boats going in the sea. 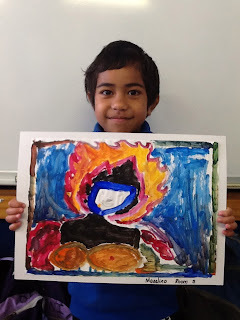 My name is Maselino and I painted a fire boy because he has power. 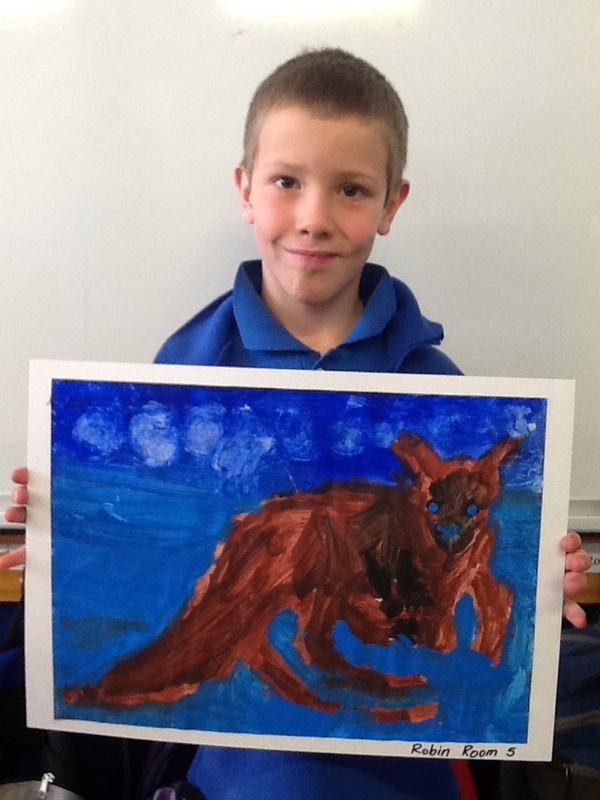 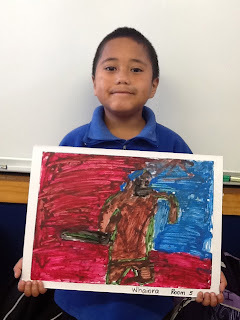 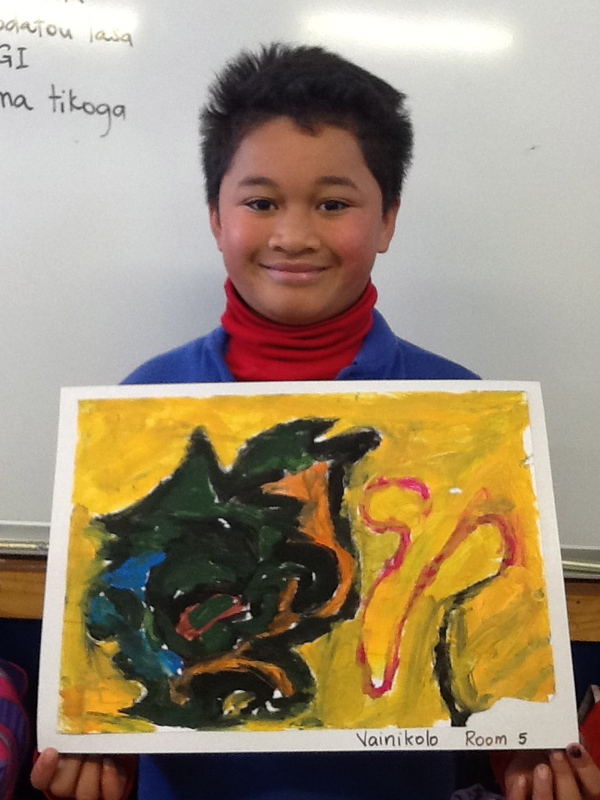 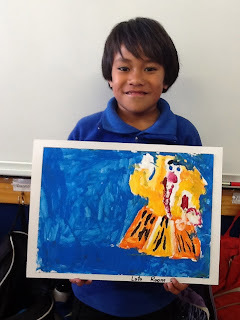 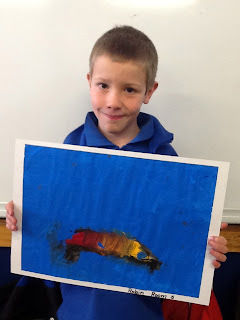 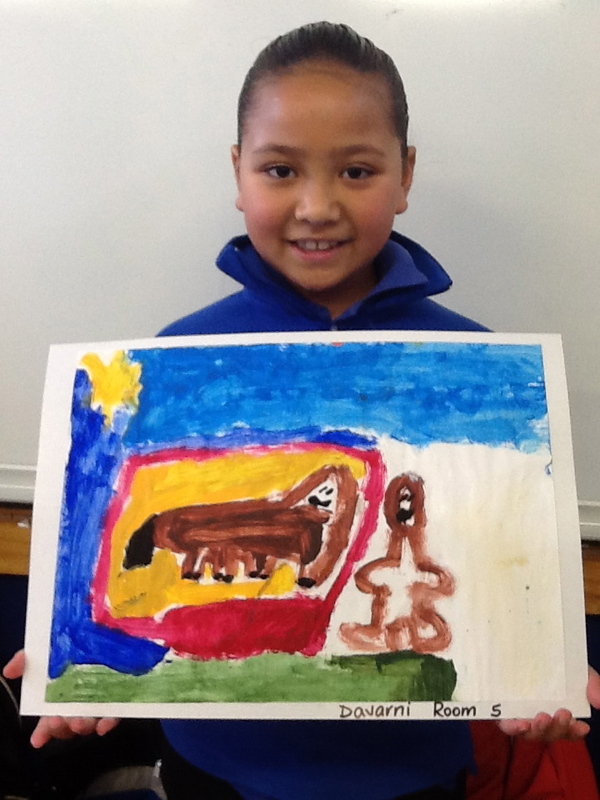 My name is Robin and I painted a kangaroo because I saw a book and the cover had a kangaroo. 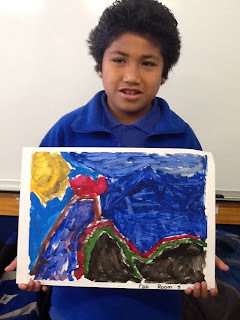 My name is Riza-Dee and I tried to paint a dinosaur because they have spikes on their back. 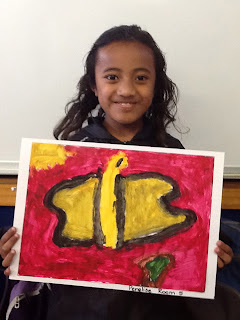 My name is Penelise and I painted a butterfly because they can fly. 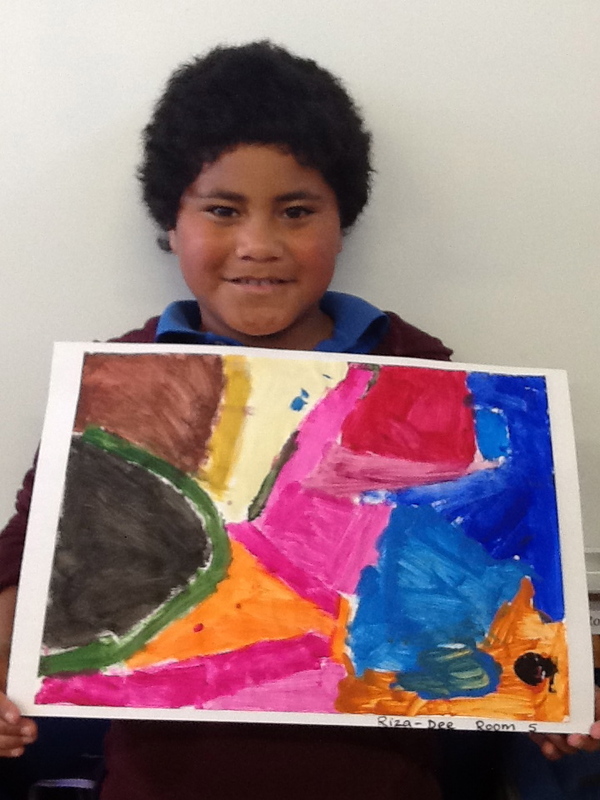 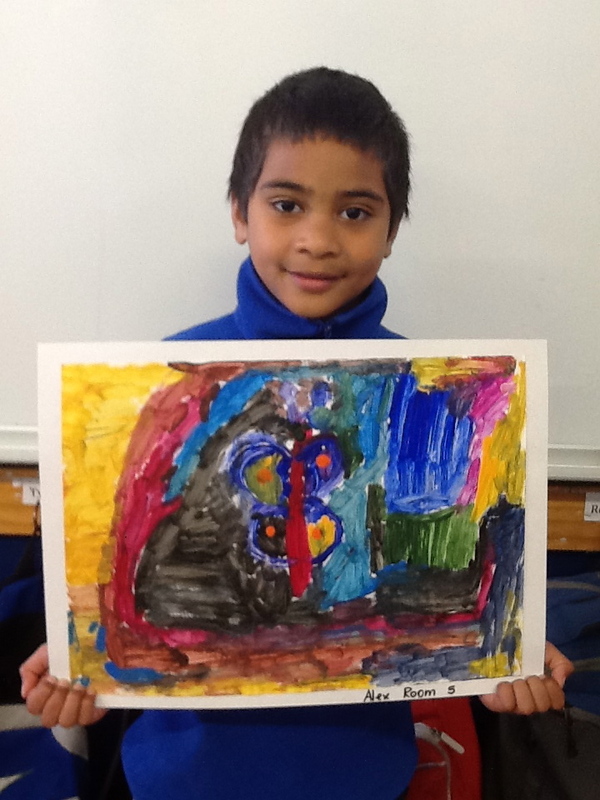 My name is Tydre and I painted a flower because bees can drink nectar off the flower. 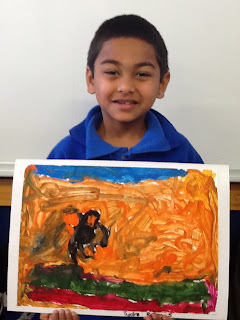 My name is Davarni and I painted a horse because I like horses a lot. 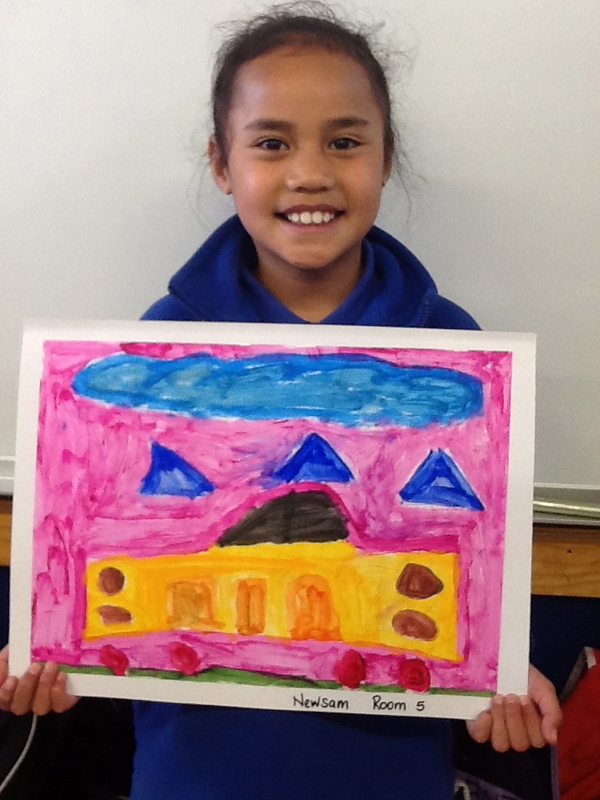 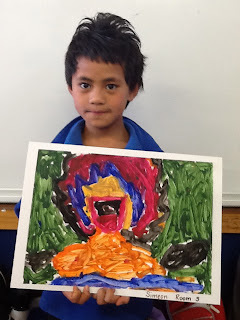 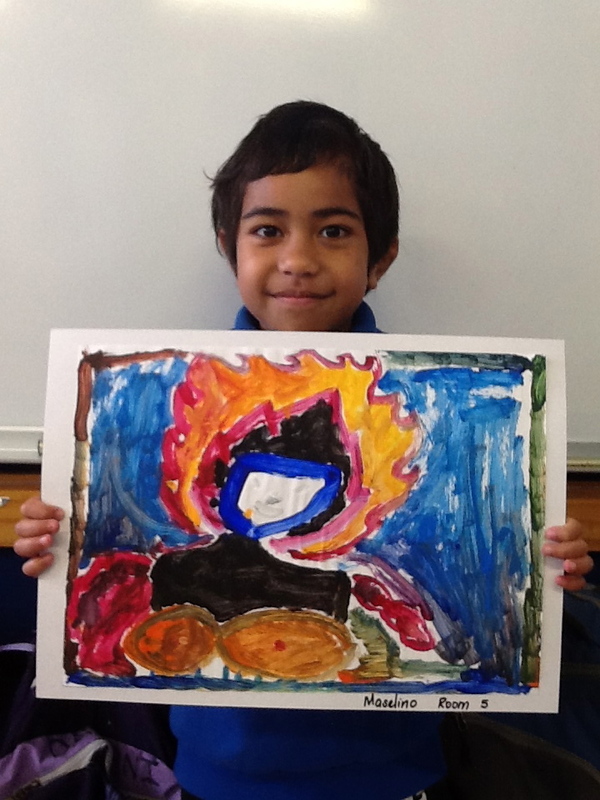 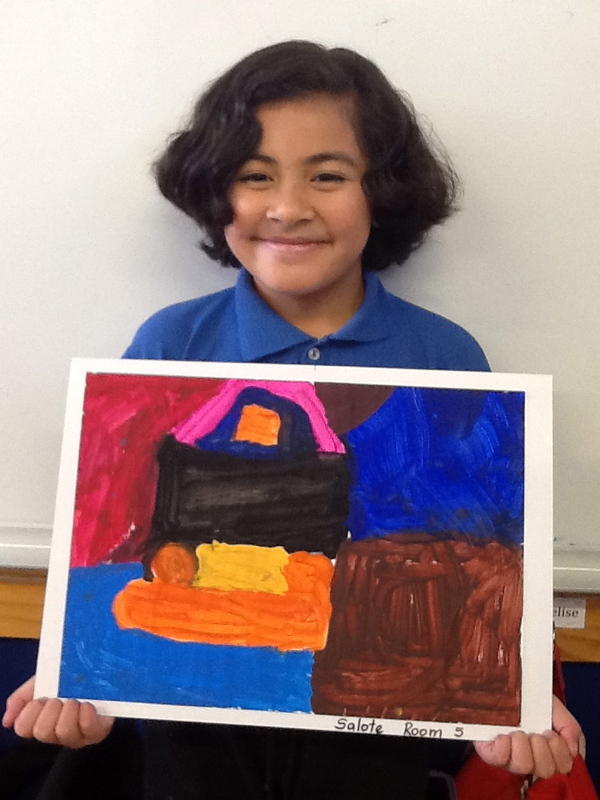 What wonderful, colourful paintings! 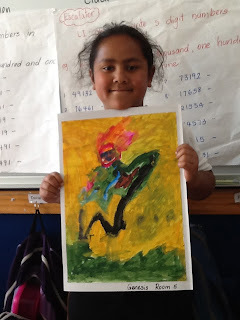 I have seen them on the wall in the corridor - great!